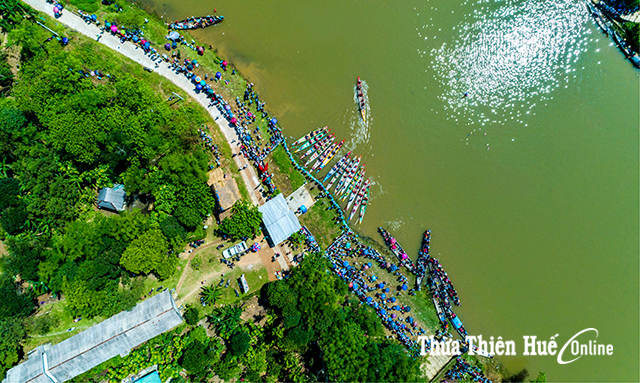 Researcher Buu Nam said in an article in Song Huong Magazine ten years ago that the festivals held in the even years were so diverse that many people were overwhelmed with enjoyment. It is time that Hue were developed into a city of festivals, where organizing successive festivals is a means of livelihood. It is easy to see that Hue has formed a festive space through ten festival seasons, especially after Hue Festival 2018. In particular, this festive space includes the Hue ancient Imperial full of a mystical Imperial culture to discover, and the extended banks of Huong River that run through the surrounding countryside such as the village of Thanh Thuy Chanh, where the fest Cho que ngay hoi (‘Rural market on festive days’) is held, or run northwards to the ancient village of Phuoc Tich, the home to the fest Huong xua lang co (‘Fragrances of an ancient village’). Unlike a quiet, peaceful ancient capital at night as it was, Hue has now been lively thanks to a unique system of performance stages left by the festivals. Inside the Imperial, there are royal-styled stages suitable to art performances inspired from royal court culture. The stage in An Dinh Palace is a good place for performances of modern pop music. 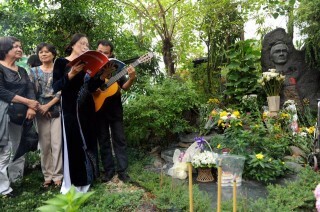 In addition, stages along the banks of Huong River are appropriate for performances by bands. especially, Trinh Cong Son stage at the junction of An Cuu River is a highlight of Hue by night. A festival can be visualized in activities, including opening and closing ceremonies, art performances, royal court festivals, folk festivals, domestic and international music performances and festival-related collective activities. It is worth mentioning that the activities in Hue Festival are so good and diverse that tourists and the locals find it hard to choose a program or a group of activities to concentrate on. Festivals are frequently held in festival cities of the world instead of an interval of two years. There are as large-scale festivals as Hue Festival, medium-scale themed festivals like Hue Festival of Tradition Crafts, and small-scale seasonal festivals during the years, or even months and weeks. Researcher Buu Nam likens the festival and the festival city to the set of Russian tumbler toys: a large one contains a medium-sized, which, in turn, contains a smaller. This model should be the target of Hue Festival. I have been to many places. There are differences in domestic tours and tours aboard. For example, the tour to Thailand offers a combination of emotions and audio-visual experiences. 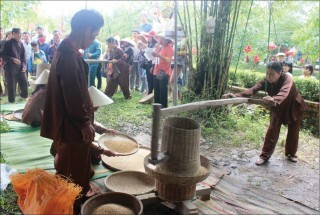 Yet, a surprising resemblance can be found in Hue Festival tour. In my opinion, a Hue Festival tour can be simply formed by detaching certain affiliated festivals, performances, exhibitions and galleries, and organizing extra collective activities and visits to a number of Hue heritage sites. Tours of this kind can be operated all year round. A script can be thought of on the ground of Hue Festival 2018. Neither opening ceremony nor closing ceremony is needed. 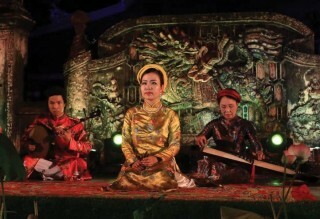 The thrust of a medium-scale festival is made up of the Van Hien Kinh Ky (‘Royal Hue’s Essence’) in the Citadel, Am Vong Song Huong (‘Echoes from the Perfume river’) at Trinh Cong Son park, Trinh’s Music night at Phu Van Lau, a few performances of Vietnamese and international music, and Cho Que Ngay Hoi (‘Rural market on festive days’), combined with exhibitions, galleries and collective activities. In this light, it is not hard to hold several versions of Hue Festival around the year. 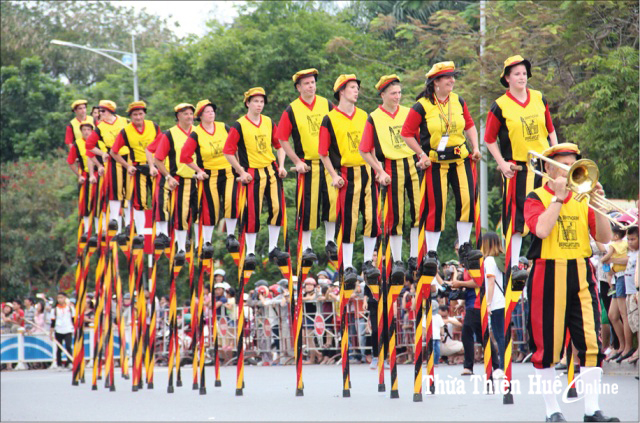 Belgian Stilt performers are always cheered for. Photo by P. Thanh. 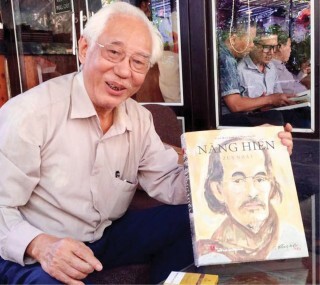 In festivals of the early twenty-first century, there was an impressive collective activity, namely, Thanh Tien paper flowers in Phu Mau, Phu Vang, initiated by artist Than Van Huy. A large number of tourists to Hue Festivals aimed at the poetic atmosphere of this activity at Sinh Junction. 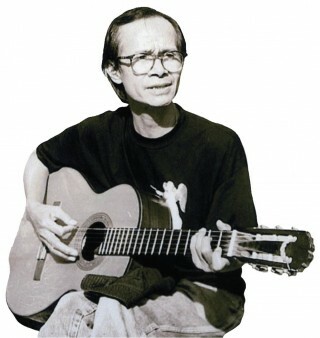 In order to take part in the festival, artist Than Van Huy made his greatest effort and creativity for a detailed preparation. For some reasons, Thanh Tien paper flowers were no longer part of the recent Hue Festivals. It is a real waste if a tourist product was made and then forgotten. Hue Festival, to a certain degree, resembles a feast full of good dishes, but its demanding host changes the recipes so often that diners lose their interest. This is again a kind of waste. After 20 years, Hue Festival has established its own cultural institutions, festivals, and essential art programs. 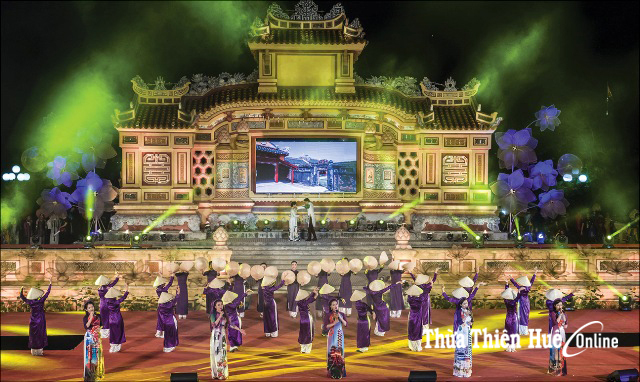 Apart from those in the Citadel, An Dinh Palace and Thanh Toan Tile-Roofed Bridge, there are a system of stages for Hue Festival, which lays the ground for organizing other festivals and art programs later. 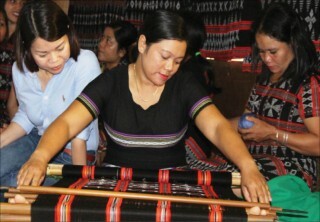 The responsibility for administration is assumed by the Center of Hue Festival, with the assistance of other organizations, including Hue Monument Conservation Center, schools and universities of Art and Music, and Organization Committees of affiliated festivals such as Cho que ngay hoi (‘Rural market on festive days’). Hue Festival is also supported by regular and enthusiastic partners and collaborators at home and abroad. The objective to head for is how to make these participants and the cultural institutions more and more effective. 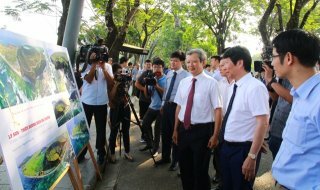 In preparation for Hue Festival 2018, Minister of Culture, Sports and Tourism Nguyen Ngoc Thien affirmed that successfully organizing the festival gives Hue an opportunity to further tap into tourism potential. The Minister also asked the Organizing Committee to coordinate with the travel agencies to plan many tours during the festival. 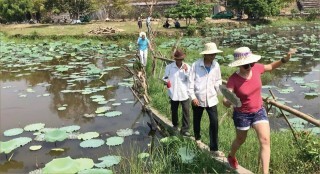 In the long run, Thua Thien Hue People’s Committee needs to create a mechanism to attract potential investors into feature tourism projects, thereby promoting further growth of this sector.